All of us will finally meet our creator one day. Aside from having a good reputation, we can leave a legacy that our loved ones can benefit from. Rather than debt, let’s leave them inheritance in the form of insurance proceeds. Having insurance as a gift to your family is one of the best thing you can do for them. At times when they need it most, insurance proceeds is something that they can lean on. Buying a term insurance is like buying an investment. The risk is so low, because you are betting against something that we are certain of: death. The only question is WHEN. 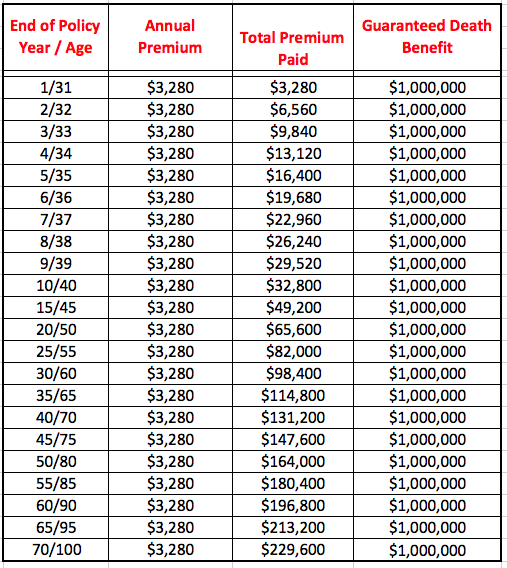 Let me give you an example how great a term insurance is for legacy planning. This example is base on a FEMALE, 30 YRS old and NON SMOKER. There are 2 term insurance I will compare, so you can see the benefits for both. Base on average life span in the Philippines, right now it’s around 70. Take a look at both tables. 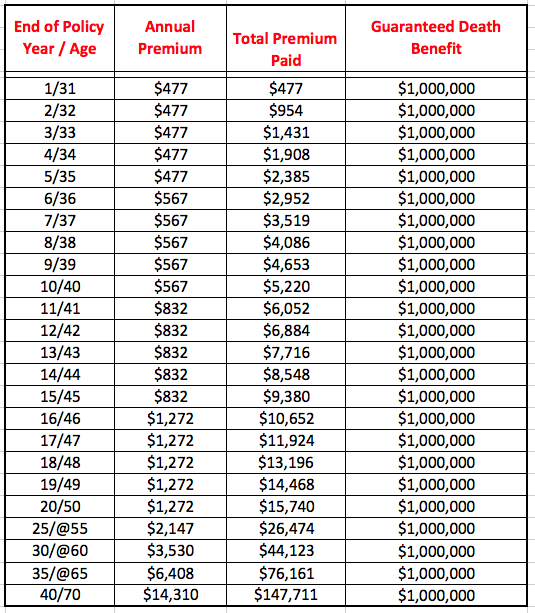 The first table shows premium is increasing every 5 years, the other one is fixed. Both have insurability up to age 100. If let’s say our life will end at age 70, on a 5YR term, you only paid $147K in total while on the fixed rate, you only paid a total around $131K. However, guaranteed sum assured remains at $1,000,000. It’s an easy way to make your money grow instantly in the event something happen to you. This is money your loved ones will receive. A fixed term insurance is more expensive than a 5YR term during the initial years. The only downside of a 5YR term is that the premium keeps on increasing. So if the person survived beyond age 70, the premium will be higher. Unlike the fixed term, premium is fixed all throughout. Base on the premium of a 5YR term, some will say it’s quite expensive by the time they retire in future, at age 60 perhaps. At age 60, it will cost around $3500 annually. Once we retire, we don’t have income to pay for the premium. But the idea is buy this policy as early as you can, but when you retire and no capacity to pay for it, pass it to your beneficiary, to your children. Let them continue paying the policy since they are the one who will get the whole $1,000,000 sum assured. For sure they will be glad to pay it since it’s a guarantee that they’ll benefit from it in the future. Even if they pay for it, it’s gonna be less than the sum assured that they will get. By doing this, you ensure that you have great legacy to leave behind. For a fraction of the sum assured, will you pay the premium to get this policy?